Whilst enjoying my PPL, exploring more airfields and different aircraft, I also trained as a gliding instructor. I appreciate many readers may have no gliding experience − or even break into a cold sweat at the prospect of intentionally flying an aircraft without an engine − but I found I learned many valuable lessons. One in particular reminded me of some fundamental principles for all my flying. I was taking a student for an introductory flight from a winch launch − the sort where you are pulled up by a metal cable from a ground-based winch. The student had never flown in a sailplane or light aircraft before and it was a great day for a first flight: CAVOK and calm wind. I had already done a few launches that morning and I started as usual, with my student in the rear cockpit and me in the front. 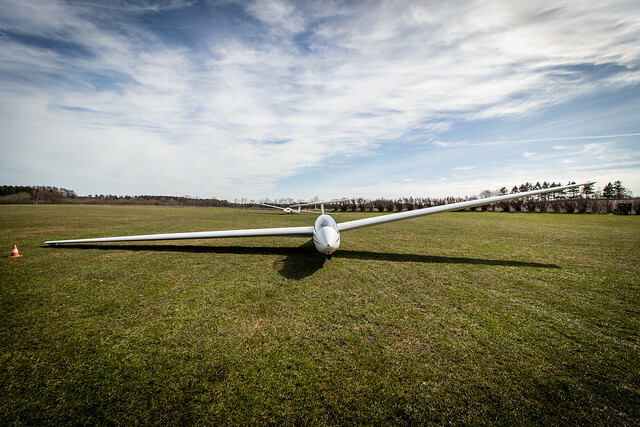 The cable pulls the glider up, initially quite steeply, then the climb rate slows as it reaches the top of the curve − usually around 1,000ft. After the cable is released, it falls back to the ground using a small drogue parachute. At the top of the climb, I reached to operate the cable release toggle, which pulls a hook underneath the glider and releases the cable from the aircraft. Nothing happened. The glider continued to fly straight and level. Unusual, but not a problem as the hook has a safety mechanism and should auto-release if the cable angle goes beyond ninety degrees to the ground (i.e. the glider overflies the winch). Then I got a shock! The glider pitched down violently and accelerated towards the ground. For a second I wondered if I’d had a massive control or structural failure. I continued to try the release toggle, and shouted for the student to try his in case mine had failed. Nothing seemed to work. I had no control of the aircraft, which was rapidly approaching Vne. I was looking straight down at the ground, at 800ft. With the benefit of a parachute, I had the option of abandoning the aircraft. Having done a paragliding course a few weeks earlier, I could probably get out and make it to earth and survive from 800ft, but could the student, with no parachute training and only a short safety briefing? But in that split second the situation changed. The glider suddenly lurched upwards and I had some control again, managing to just about get it straight and level. It was a great feeling, but short-lived. As the airspeed reduced, heavy buffet started at around twenty knots above the normal cruise speed. I wasn’t sure what was going on: I’d never trained for anything like this. I thought that, even though I must now be detached from the earth, something was still very wrong… maybe I still had some cable attached? Training kicked in. If I was seeing stall symptoms at such a high airspeed in straight and level flight, with no visible damage to the wing, it had to be due to increased weight. I deduced (correctly as it turned out) that I had hundreds of kilos of steel cable still attached to the aircraft, after the (very quick-thinking) winch-driver had cut the cable at his end. I quickly got the nose down to keep flying speed and again considered if it would be controllable enough to land. I had control but had to fly a lot faster, and I wouldn’t be able to bank much as that could bring me dangerously close to the stall speed – and I didn’t even want to think about whether I would be able to recover from a stall with the additional weight and drag. I tried to balance flying close enough to the airfield to minimise any ground damage from the trailing cable, and far enough out to give me a reasonable approach. With things seeming under control for the first time, I took a second to think. Was my diagnosis correct? Could anyone else help? Were there any other options? My finger hovered over the PTT. There were other gliders about and I was receiving some ground messages on the radio − the situation was blatantly obvious from the ground − but I discounted doing anything except concentrating on the landing. Keeping control of the glider was the most important thing. Offering some understated reassurance to my student, I put the aircraft down at well above the normal landing speed, and was brought to a rapid stop by the drag of the cable. I sat in the silence for a second, before getting out to have a look. Behind the aircraft trailed hundreds of feet of cable, which I later learned had damaged roof tiles and sliced down telephone lines. On checking the aircraft attachment, I found it had been fixed in a seemingly impossible position against the fuselage. Now, without the tension, and with a slight touch, it fell away to the ground. Considering the experience, the student in the back looked surprisingly calm, but I continued to reassure him and we went back to the Control caravan for a cup of tea and a bit of a sit-down. The investigation found a groundcrew error in attaching the cable − which should never have been possible. This led to an incredibly rare situation, the likes of which even the most experienced of glider pilots had never witnessed. It was only later that the shock hit me of just how severe the incident could have been, especially seeing the newspaper reports of the trailing cable damage. Now, while this situation is obviously specific to gliders, there were general airmanship points I could learn from my experience, to benefit all my flying. Firstly, if something can go wrong, it eventually will – known as ‘Murphy’s law’: however unlikely or unexpected, something may happen that you’ve never trained for. Second, there is a reason we learn the theory of flight, well beyond the training necessary purely for basic operation of the aircraft: a situation may force you to use this background knowledge in a new way. Finally, the old favourite: fly the plane first. In this case, there were very few options open to me anyway, but had I not concentrated on the flying and lost control of the aircraft, the outcome would have been rather different.